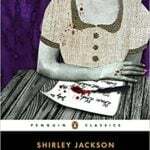 “The Lottery” (1948) is Shirley Jackson‘s best-known short story; it could be argued it’s her most famous classic — even more widely read than The Haunting of Hill House or We Have Always Lived in the Castle. Once published, the story quickly catapulted her to fame— or, more accurately, notoriety. The story earned rave reviews from editors and critics though readers weren’t as pleased. Quickly becoming the most controversial story ever published by The New Yorker, readers not only canceled subscriptions but sent hate mail to the author via the magazine. “Millions of people, and my mother had taken a pronounced dislike to me,” Jackson claimed. 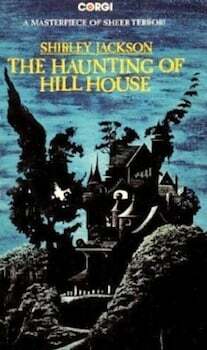 The story was first published under the titled The Lottery, or the Adventures of James Harris. James Harris appears as a character in about half of the stories, which links them to one another. Contemporary editions market the collection more simply as The Lottery and Other Stories. She has one novel published, The Road Through the Wall. 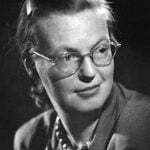 Wife of Stanley Edgar Hyman, the author of The Armed Vision, she lives in North Bennington, Vermont, near Bennington College where her husband used to teach. 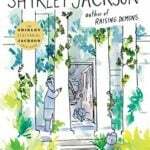 They have two daughters and a son, and live in a 14-room house, where Miss Jackson dislikes the housework but does it because no one else will. 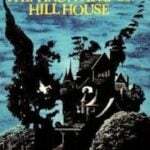 Twenty-five short stories, of which ten are reprinted from magazines, comprise this collection. 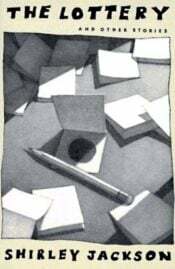 One or two of them misfire, others testify to a talent which ranges from good to remarkable, and three or four of these stories strongly tempt me to use the word genius. To begin by finding fault: Miss Jackson is not a stylist, that is to say, not skillful, or perhaps merely not interested, in the brilliant phrase. Once in a while she finishes off a story with an idea that is sympathetic to her but that has not developed inevitable; an example is “The Renegade” which starts out about a dog and ends too unexpectedly in a woman’s terror at imagined decapitation. And in one or two other cases, as in “Elizabeth,” it is less a story than a mood. “The Witch” will curdle your blood, though it is, by an odd contrast, funny too. 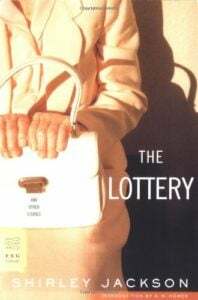 But the indubitable masterpiece is “The Lottery,” which comes mercifully at the end of the book when you have had some change to harden yourself to the tremendous impact of some of these tales, in which menacing is piled on ominous to the point of unbelievable catastrophe. It’s a story of villagers gathering in a lighthearted spirit for an annual event that looks at first as innocent as a picnic. But there’s an underlying tension, the excitement of the fathers and mothers and young people drawing lots grows threateningly, and at the very least you are terror-stricken. It is black magic. It puts the hex on you. Miss Jackson writes not with a pen but a broomstick.